Adalbert of Prague known in Czech by his birth name Vojtěch was a Bohemian missionary and Christian saint. He was the Bishop of Prague and a missionary to the Hungarians, Poles, and Prussians, who was martyred in his efforts to convert the Baltic Prussians to Christianity. 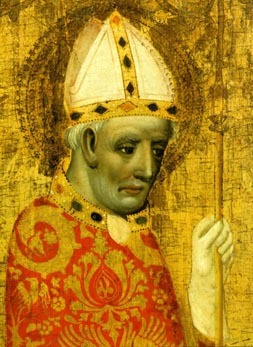 St. Adalbert or St. Vojtěch was later declared the patro saint of the Czech republic, Poland and the former polity of Prussia. Born as Vojtěch in 952 in Libice. He belonged to the Slavik clan one of the two most powerful families in Bohemia. His father was Slavník a duke ruling a province centred at Libice and his mother was Střezislava and according to David Kalhous belonged to the Přemyslid dynasty. The young Vojtěch took his tutor’s name “Adalbert” at his Confirmation.